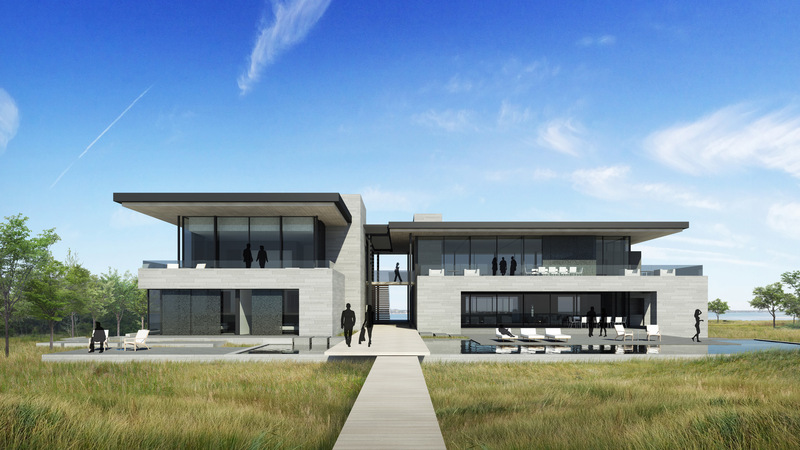 Located on a narrow strip of land bound by Shinnecock Bay to the north and the Atlantic Ocean to the south, the Bay to Beach House strives to emphasize the inhabitant’s connection to the coastal landscape. 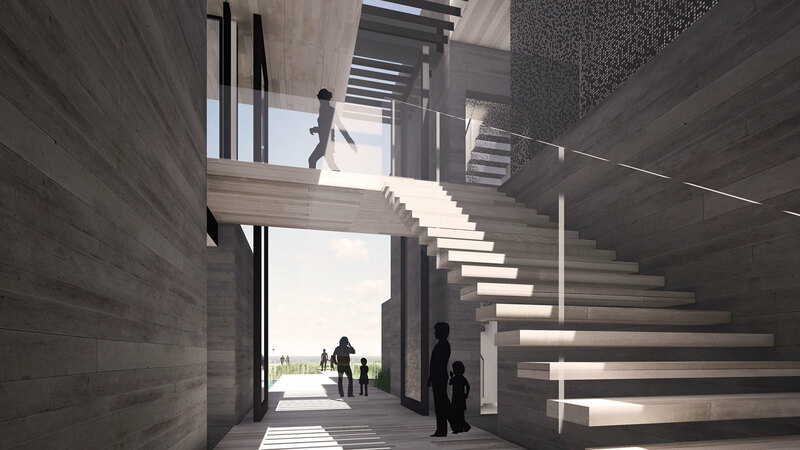 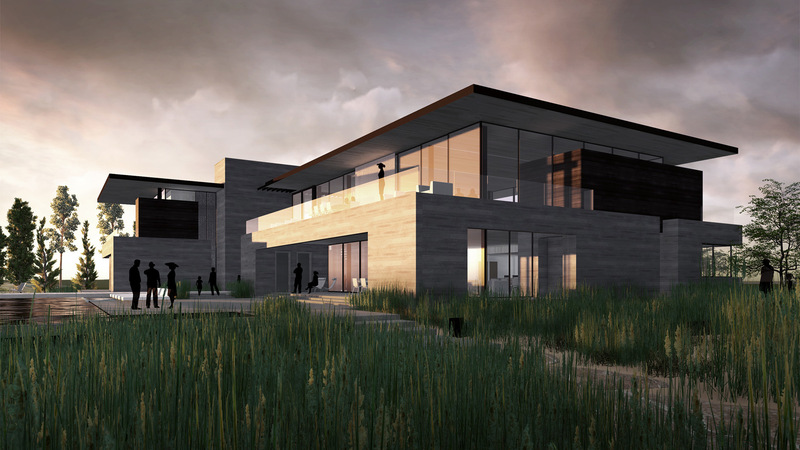 A central boardwalk passes through the house, separating the public programs from the more private bedrooms, and linking the bay to the dunescape and oceanfront beyond. 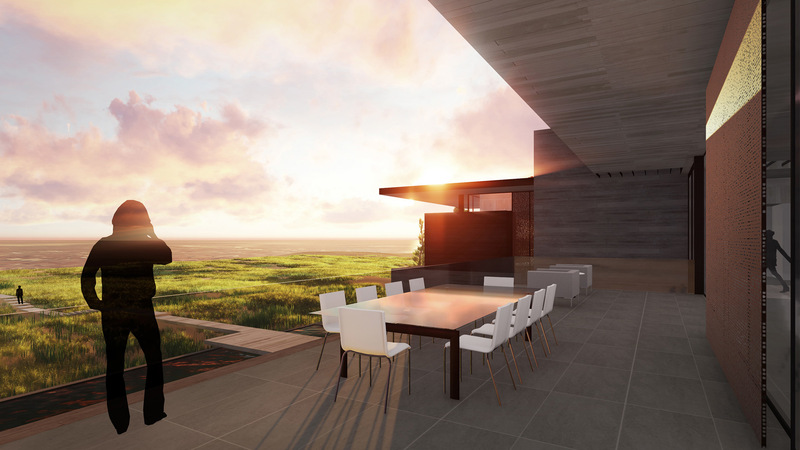 Outdoor living spaces stretch into the dunescape, while interior elevated living spaces offer panoramic views of the ocean and bay. 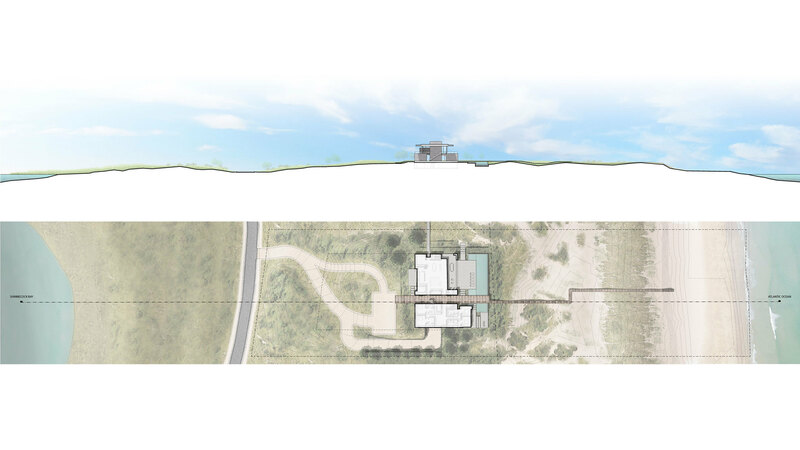 The boardwalk is designed to have the ability to open completely to the natural elements, blurring the transition between architecture and landscape.